I took my first picture, during the holiday, using my new motorized scotch mount. 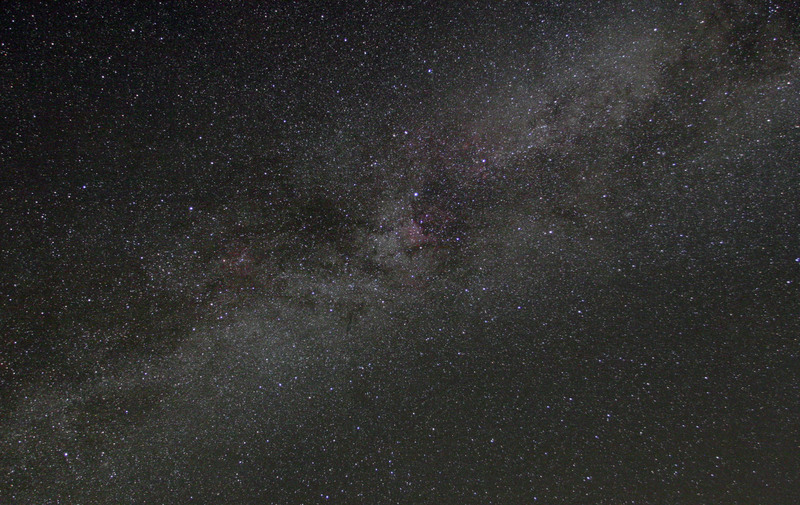 The following is a 2 minutes shot of the cygnus constellation region centered on the North America nebulae. The brigth star near the nebulae is Deneb.